What will car rental look like in the next five to 10 years, or longer? What factors will play a role or pose a threat in the advancement of the industry? Technology is already shaping the future in some areas, while other factors are still years from being fully developed. Auto Rental News talked to several operators to get their predictions on the future of car rental — and how their companies are planning to adapt to these advancements and changes. As technology continues to create a more on-demand environment, customers, especially in the younger generations, are used to doing everything on the go, from a smartphone or tablet, including making reservations for car rentals. Nima Mobasser, vice president of Los Angeles-based State Van Rental, sees a future with more shared vehicles, more streamlined reservations and check-in/checkout processes, and growth in the carsharing and self-service models. To stay up to date with the changing needs of its customers, Edge Auto Rental is developing an on-demand, mobile-friendly reservation process through its website. “Customers want to press a button on their phone and have the vehicle be ready when they arrive or have the vehicle show up at their location when they need it,” says Harris. For Peter Chapman, owner of Alaska Auto Rental, the future customer interface looks to be mobile heavy, as the younger generation becomes a larger part of the renter demographic. As a small independent rental company, Alaska Auto Rental in Fairbanks, Alaska, hasn’t developed an automated online reservation system, but it’s working toward that goal. Steve Lazaroff of Discount Car and Truck Rentals sees technology as potentially changing car rental into something that resembles a ride-sharing or peer-to-peer environment where people rent out their own cars. “If I had no car and had the option of renting a car from my immediate neighbors within a five-minute walk, I’d never need to go to a car rental company,” says Lazaroff, director of Discount’s retail sales division. Carsharing technology has started — and will continue — to change the traditional rental counter process. Using elements of carsharing technology developed by Rent Centric, Discount has developed a self-service program where customers can rent cargo vans or cutaway trucks from about 25 parking spots throughout Montreal and Quebec City. Customers use the web app on their smartphone to find and reserve the closest vehicle at any time, according to Lazaroff. Once at the vehicle, the app initiates the rental process and unlocks the doors. To develop a self-service option, Edge Auto Rental is installing self-service kiosks at its rental locations. “More and more customers don’t want to deal with a person when picking up their car,” says Harris. When it comes to carsharing, Harris thinks the concept will continue to grow as more people decide to not own vehicles. Though carsharing is currently more common as hourly rentals through companies like Zipcar and car2go, group sharing of a vehicle could become more popular. “I think more people will own cars through a subscription and share with multiple people,” Harris says. Chapman likes the idea of self-service as a convenience for his customers, but currently the cost of implementation for the technology is more than the benefits he could gain in his use case, he explains. The growth of ride-hailing services like Uber and Lyft has been seen as a threat to car rental. While rural areas and most local markets remain largely unaffected, ride hailing has become entrenched in cities. Even in the face of potential business erosion in certain situations, the concept of ride hailing could also be seen as a collaborator to rental companies in a larger transportation ecosystem. According to Laguana, Uber or Lyft could bring a rental company’s customers from the airport to its off-airport location. Additionally, the ride-hailing model may not be sustainable. Laguana commented on the fact that Uber currently doesn’t show a profit because it’s still investing heavily in growth. Although the idea of self-driving cars had seemed to be in the distant future, they are already hitting the roads in pilot programs by companies like Google and Uber. 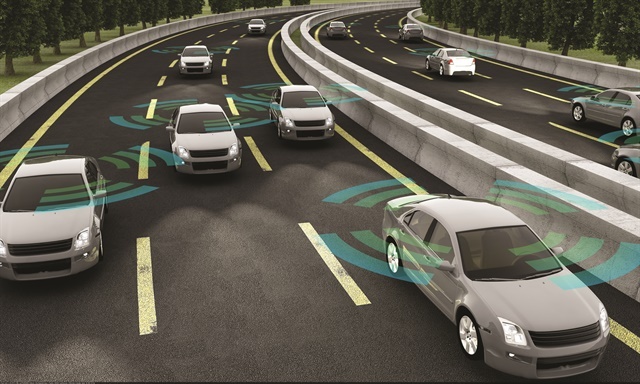 Laguana acknowledges that autonomous vehicles are coming and will be here soon, but he also brings up some of the challenges that driverless cars will face, including software, legal and legislative framework, and security. Harris was impressed by the autonomous technology displayed at the recent Automobility LA, the trade show that preceded the LA Auto Show. The autonomous vehicles section included Olli, a self-driving, electric, partially 3-D printed minibus.